Remember seeing a Pinterest DIY on seed tape and having used the retail seed tape, know it is one of the myriad ‘greatest thing since sliced bread’! Unfortunately, seed tape is not available in a lot of seed varieties and it is expensive. Also, you need to plan ahead if you will be buying it, as it needs to be ordered–have never seen it in a retail store. After months of Winter (through April) and a cold, wet May, it is now Summer and planting needs to be done like Right Now! Had the seeds (bought on an optimistic March day) and with a vague recollection of the Pin, set to work. 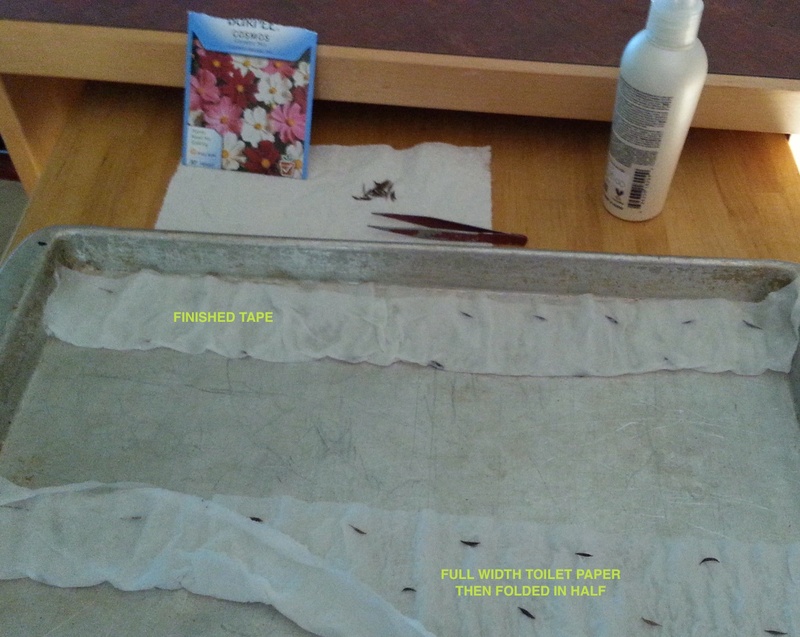 fold paper over seed and spray again. Once dry, use at once or store in a moisture-proof container. This is where a reuse of the silicon pouches found in purchased items makes sense, as wet tape will allow the seeds to sprout, and eventually mildew–not pretty, and all that hard work for naught. When I was done, I looked up the Pin and found I had the basic premise correct but hadn’t used the flour paste, nor measured, marked, cut, etc. The measuring and marking is, in my opinion, overkill as the sewist I am can automatically gauge inches, even the standard 5/8″ seam allowance (have checked my ‘eyeballing’ ability and it is amazingly accurate; bet any sewist has developed this ability). That being said, the flour paste may be a good idea if storing the seed tape. Am thinking the paste may protect from inadvertent moisture/sprouting. 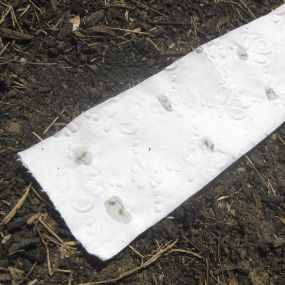 Am off to the garden to plant the seed tape; tear apart on the toilet paper perforations or cut in sizes to fit your planting space. Check my Facebook page for updates. Here is the link to the blog the Pin is based on if you would like the excellent original instructions. 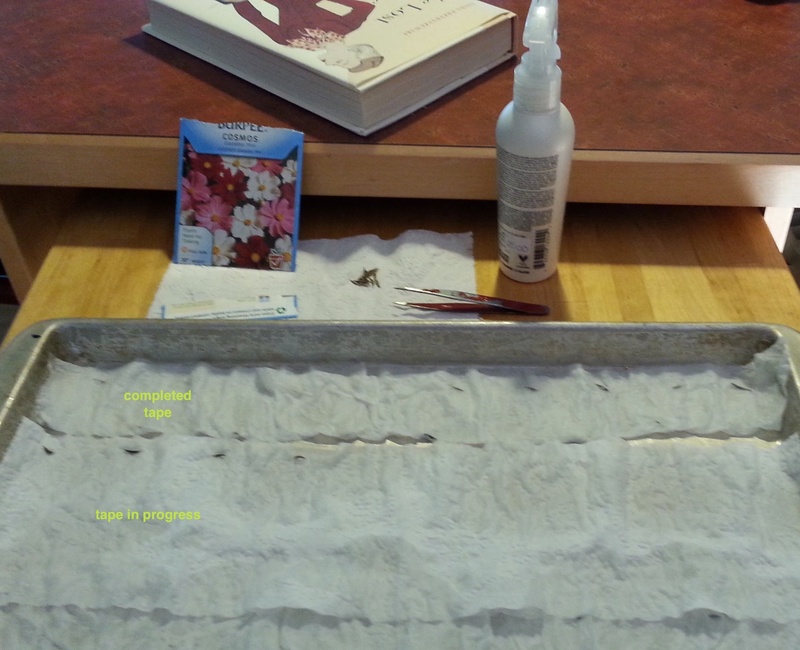 This entry was posted in GREAT IDEA and tagged DIY, DIY SEED TAPE, Pinterest DIY, seed tape, toilet paper. Bookmark the permalink.